Posted on September 20, 2016 by thelostlighthouse	in Gaming, Podcast and tagged 5e, 5e actual play, 5e live play, 5th Edition, actual play, Cult of the Dragon, D&D, D&D 5th edition, DnD, Dragons, Dungeons & Dragons, gaming, giants, live play, murder mystery, murder mystery RPG, pen and paper RPG, podcast, Rise of Tiamat, role playing game, RPG, Skyreach, The Lost Lighthouse, TLL, tllgaming, Total Reroll, Tyranny of Dragons, Wizards of the Coast. 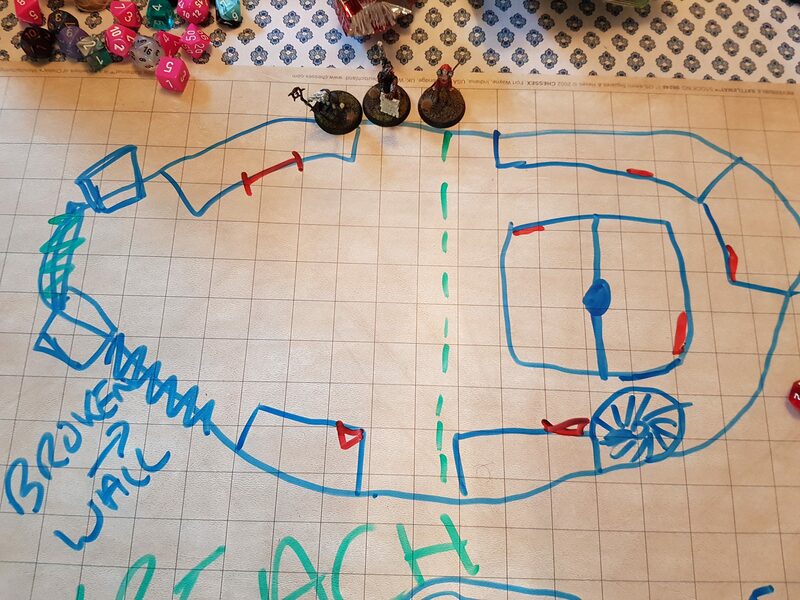 The gang is aboard the floating ice castle Skyreach, and we are on the way to the Well of Dragons for the final confrontation with the Cult of the Dragon. 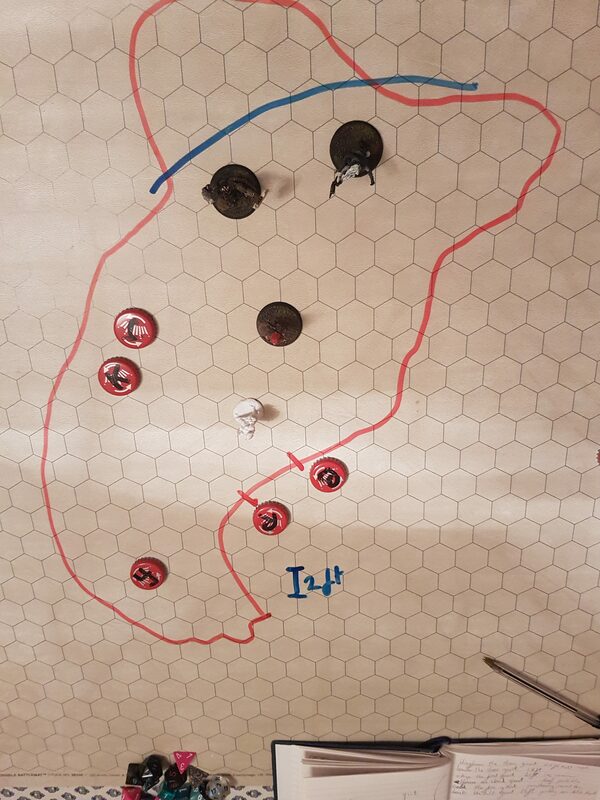 Unfortunately, one of our giant allies has been brutally murdered and the cloud cover system essential to our battle plan has been compromised. Because we are doing a terrible job of finding the murderer, someone else has been killed and we are rapidly approaching the Well of Dragons without our cloud cover! Will we figure out who it is this week? Courtyard where the majority of the episode takes place. To the left are two guard towers, top left room is the stables, all other rooms are living quarters except the middle right which is the kitchen. Staircase leads up to the throne room and down to the cavern. Most of the episode happens in the middle top right room. That room expanded, with the balcony cut off by the blue line.